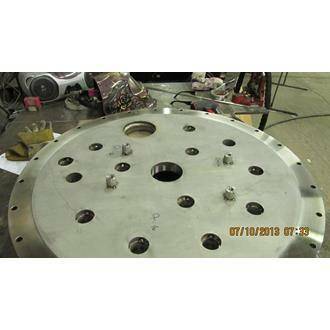 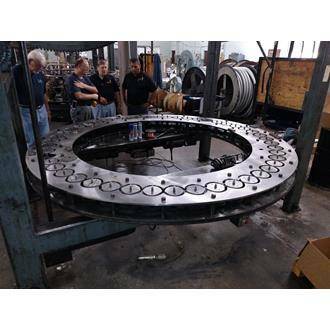 We have an Abrasive Water-Jet Cutting System that enhances our internal fabricating capability. 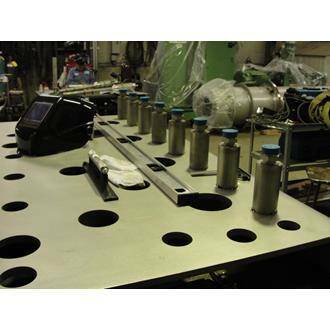 This system works using ultra-high water pressure. 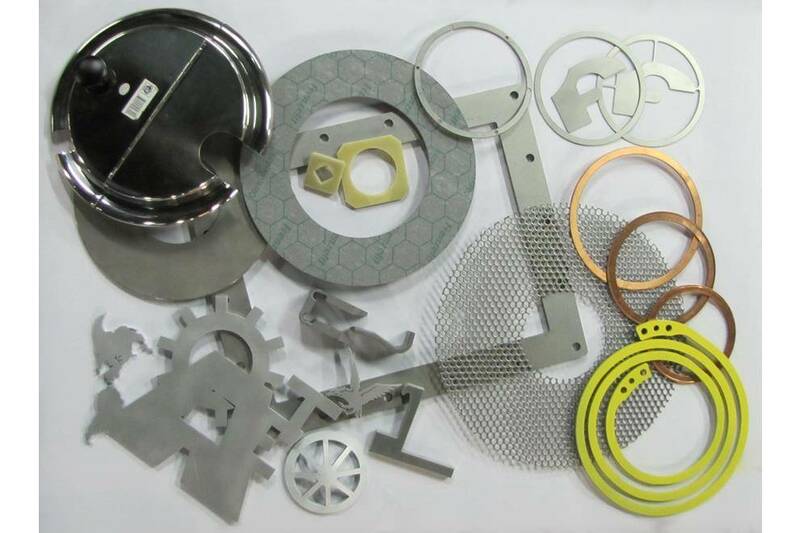 The high pressure water and abrasive work together to cut a variety of metallic and non-metallic materials. 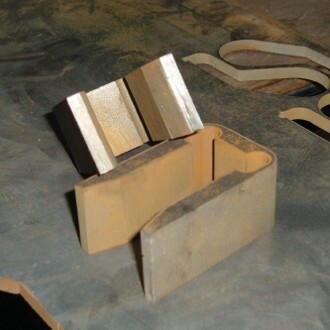 Cutting with two nozzles we can increase productivity of thinner parts by cutting two at once. 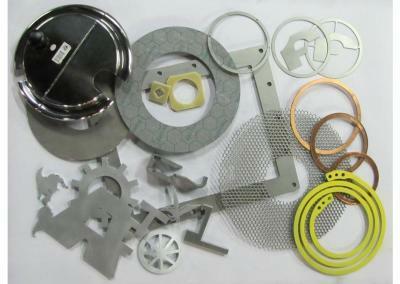 For more information on waterjets and waterjet cutting, we reccomend visiting WaterJets.org. 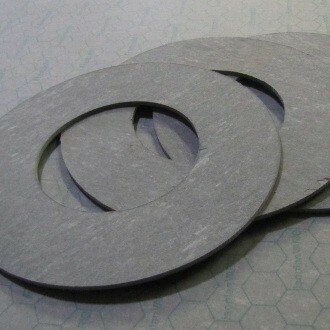 They have compiled together a good resource for waterjet information. 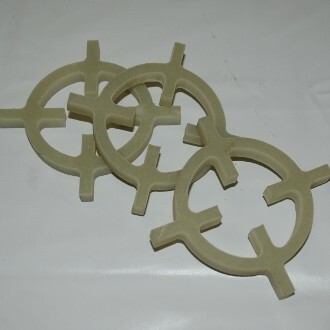 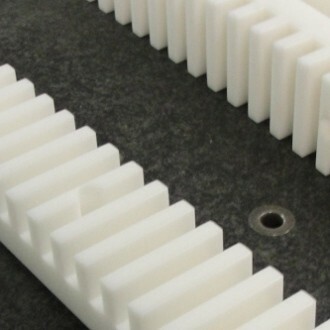 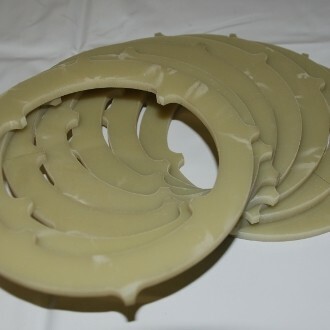 Waterjet cut g-10 garolite material for use as spacers. 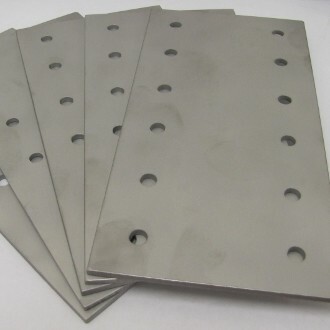 Carbon steel shims, waterjet cut by AET.